Green Cross Health is a leading health services provider in New Zealand specialising in pharmacy services, medical division, and community health services. The pharmacy division provides support to 350 life and Unichem pharmacies across the country (Green Cross, 2016). The medical division provides full family healthcare services through its medical centres. The community health division provides home healthcare to around 21,000 people through the company’s facilities (Green Cross, 2016). Gap analysis is the process of comparing a company’s actual performance with its potential or desired performance to identify what needs to be done to improve overall performance (Glauner, 2016). Organisations that fail to make the best use of their available resources and appropriate strategies will perform below their potential (Di Maria et al., 2012). This is dangerous in a highly competitive environment because they risk being losing their market share to competitors who are doing things right. A gap analysis is necessary for Green Cross Health to identify areas that need improvement in its operations. In terms of process management, Green Cross has been using the silo approach to care funding and funding, and this has not produced very desirable results. The company has a range of services under primary care and has been unable to develop offerings that ensure a coordinated approach to patient services. In the pharmacy division, the company had to reduce its pharmacy brands from five to two for easier management. Green Cross Health needs to now focus on providing improved in-store experience for customers. Green Cross conduct staff training when new employees are hired, but there is no concrete plan for continuous training. It is important for companies to train employees on a continuous basis so that they are equipped to address the changing needs of customers (Glauner, 2016). Companies need to focus on improving the welfare of employees so that they can deliver optimally. Workplace stressors such as strain from job demands, conflict with other individuals at work, such as doctors and nurses, inadequate skills which put a strain on individuals as they doubt their abilities, organizational change which brings uncertainty, limited control over how work is done, long unpredictable schedules and time constraints in terms of deadlines undoubtedly have a negative effect on the physical and mental health of employees (Taylor, 2009). It is important for an organization to involve employees its affairs. The best approach to do this is through the establishment of teams among the workers. Different teams perform different tasks that the organization is involved in. Through teamwork these different groups work together to ensure that the goals and objectives which have been set up by the organization (Taylor, 2009). Quality measurement is important in helping the company appraise its performance against its objectives (Glauner, 2016). A measure that can be used to determine the level of teamwork in the organization is the quality of the goods that the company has been producing and the ease at which it is able to meet its deadline. For the last few years, Green Cross Health has been credited as one of the best companies in the provision of healthcare services in New Zealand. Despite the low utilization of Information Technology, modern production methods and entry of new competitors, Green Cross still has a large market share over its rivals. This can only be credited to the high quality work that is provided by its employees. Green Cross seeks to deliver improved customer experience in its pharmacy division by investing in platforms that ensure robust business services and customer engagement programmes (Kiran, 2016). The company has rationalised its pharmacy division into two brands with a differentiated strategy. Unichem is serving the community market while Life Pharmacy is serving the high end market. There are two main types of product differentiation namely horizontal differentiation based on characteristics, but the quality is not the same. It is when different products are sold at the same price but when consumers do not evaluate them at the same level of quality. Vertical differentiation is based on characteristics and the quality is clear. It is the opposite of horizontal differentiation. In the case of vertical differentiation, consumers evaluate products, which are sold at the same price, as being the same level of quality. It is the duty of healthcare providers to ensure that they comply with national regulation and that they position their products accurately in the marketplace (Moseley, 2009). 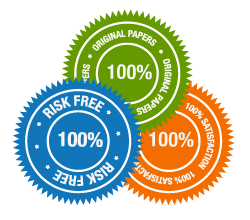 They are free to make health and nutritional claims for their products, but any claims made must comply with the laid down guidelines and regulations, including conditions for the use of said products. New drugs are increasingly being promoted for their health benefits. It is therefore very important that the industry continues to confirm and validate all advertising and label claims scientifically to ensure they provide truthful information to consumers (Taylor, 2009). Green Cross Health has created several divisions to help manage its business activities more effectively. Several benefits have come with the creation of sub-regions. First, it has reduced the number of reporting lines while facilitating smooth coordination and faster decision-making (Di Maria et al., 2012). The coalescing of smaller markets into regions helps Green Cross to address local demands wholesomely. It also reduces the total number of internal reports to be generated and sent to the company headquarters. Second, grouping small markets enables Green Cross to derive the benefits of synergies (Moseley, 2009). A good example is seen when systems were created to streamline the company’s operations, like finance, marketing and logistics, for different regions. Third, sub-regional units provide support for individual small markets. The smaller, less-lucrative markets get a voice within their groups (Kiran, 2016). The matters they raise within their sub-regions are reported to headquarters by the sub-region manager. The regional structures amplify issues thus giving them more attention at higher decision-making levels. In addition to creating synergies and information flows, regional headquarters also manage local tensions that may arise due to aggregation. Green Cross groups the markets according to similarities in consumer behaviour and retail structures. Geographical region is by default a criterion for clustering. Even when there are obvious differences amongst neighbouring markets, many similarities exist also. In order for the firm to operate in an effective and efficient manner, a number of changes need to be implemented in its operations (Kiran, 2016). First, the company needs to adopt a decentralized organization structure that requires the participation of all employees in the running and management of the firm. This will improve decision making within the company and communication as the views of employees of all levels shall be heard and put into consideration. This will in turn motivate employees of all levels and boost production. The company should also embrace the use of modern production techniques and incorporate fully IT in its operations (Moseley, 2009). This will further improve on their production efficiency. Today, the intentional turnover of cherished employees remains a concern amongst administrators and managers owing to the financial costs incurred in replacing employees, and the loss of productivity when good employees leave organizations (Di Maria et al., 2012). In the past few years, Green Cross Health has lost agents owing to cost savings initiatives and attractive early retirement benefits offered by organizations, but it is apparent this leads to added strain on remaining employees and can cause additional turnover. From the study, it has been identified significant associations between job satisfaction, intention to quit, and organizational commitment (Moseley, 2009). Sustainability strategies are targeted at all aspects of the business such as marketing, human resource management, and energy consumption (Kiran, 2016). Green Cross Health should aim to create a safer, healthier working environment. The sustainability policy will also enhance the company’s image in the community and improve its financial performance. It shows Green Cross Health commitment to protecting the environment and complying with relevant legislation and policy commitments. The company is expected to register continual improvements in environmental performance (Taylor, 2009). The policy sets a timeline for periodic review of sustainability goals, which will be made public for all stakeholders. 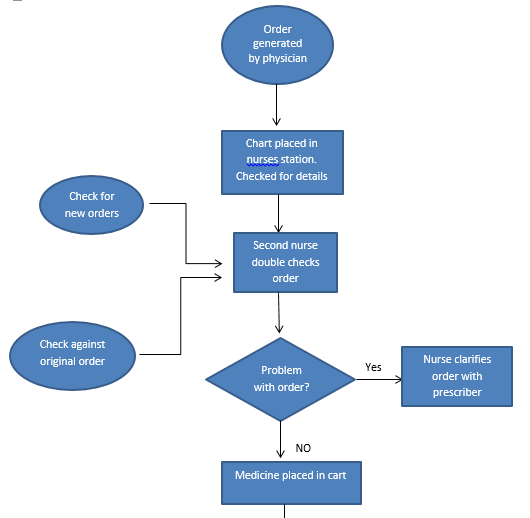 The use of Lean Sigma Six model is meant to improve efficiency and eliminate errors in Green Cross Pharmacy operations. The first step is to identify the top medications by cost and quantity from the inventory of 4,000-plus drugs. The aim is to identify 20 – 50 drugs that account for majority of the inventory spend annually. Controlling these drugs would make a huge impact (Moseley, 2009). The drugs selected would be primarily highest-cost drugs and those used for scheduled treatments, such as inpatient medication and chemotherapy agents. With customers in mind, Green Cross should create value stream maps of their drug-delivery process to its pharmacies across the country (Burton, 2011). The pharmacy staff will break the value streams into different medication activities and identify interactions with medication supppliers. These maps will highlight opportunities for standardisation and buyer work. It will also make it easier to better manage the medication-inventory process such as on-hand delivery,lead time, and project turns. Green Cross will be able to determine purchase quantities more accurately in terms of drug type, cost and frequency. The proposed strategy is designed to influence stakeholders to improve their overall performance (Burton, 2011). Efficiency becomes the driving principle for Green Cross Health. The policy sets specific targets for reducing environmental impact such as energy and water consumption, and waste production. These are designed to make the company a leader in business process management. The policy will match the nature and magnitude of the company’s activities and overall impacts. It has to reflect the company’s vision, mission, core values and beliefs. It will also be linked with other company policies such as work health and safety policy and employee relations policy. Green Cross Health can achieve efficiency goals as proposed in this lean sigma six strategy by understanding the overall impact of its various businessactivities. The company may have to change the way it operates where appropriate. All staff and contractors will be made aware of the expectations placed upon them in relation to achievement of sustainability goals. Green Cross Health will also measure its performance against pre-set objectives and targets. To ensure the outcomes are achieved, Green Cross Health will commit to principles of waste reduction and continual improvement. All activities are designed to reduce process delays and amount of waste generated. The company will also minimise consumption of essential resources such as time and human resources. Green Cross Health has grown to become one of Australia’s leading providers of health care services. The company strives to provide more personalised services and accommodation styles in response to market demands. Green Cross Health has pursued a strategy of market consolidation to expand its presence across the country through strategic acquisitions that have enabled it to take advantage of strong industry growth. The main challenge is meeting the increasing consumer-led demands for additional tiered services and enhanced lifestyle programs. Lean sigma six strategy provides Green Cross Health with an opportunity to acquire new resources for its growth plan in new markets. Green Cross Health operates in an external environment where there is an increased demand for health care services in general, as well as increased demand for consumer-centred specialised care. Many healthcare care providers are state-based and strategically located to target certain market areas. Expansion into new territories is not easy to do directly; therefore companies rely on continuous improvement to drive their growth. Burton, T. T. (2011). Accelerating lean six sigma results: How to achieve improvement excellence in the new economy. Ft. Lauderdale, FL: J. Ross Pub. Di Maria, E., Grandinetti, R. and Di Bernado B. (2012). Exploring knowledge-intensive business services: Knowledge management strategies. Houndmills, Basingstoke, Hampshire: Palgrave Macmillan. Kiran, D. R. (2016). Total Quality Management: Key Concepts and Case Studies. London: Palgrave. Moseley, G. B. (2009). Managing health care business strategy. Sudbury, Mass: Jones and Bartlett. Taylor, G. M. (2009). Lean six sigma service excellence: A guide to green belt certification and bottom line improvement. Ft. Lauderdale, Fla: J. Ross Pub.